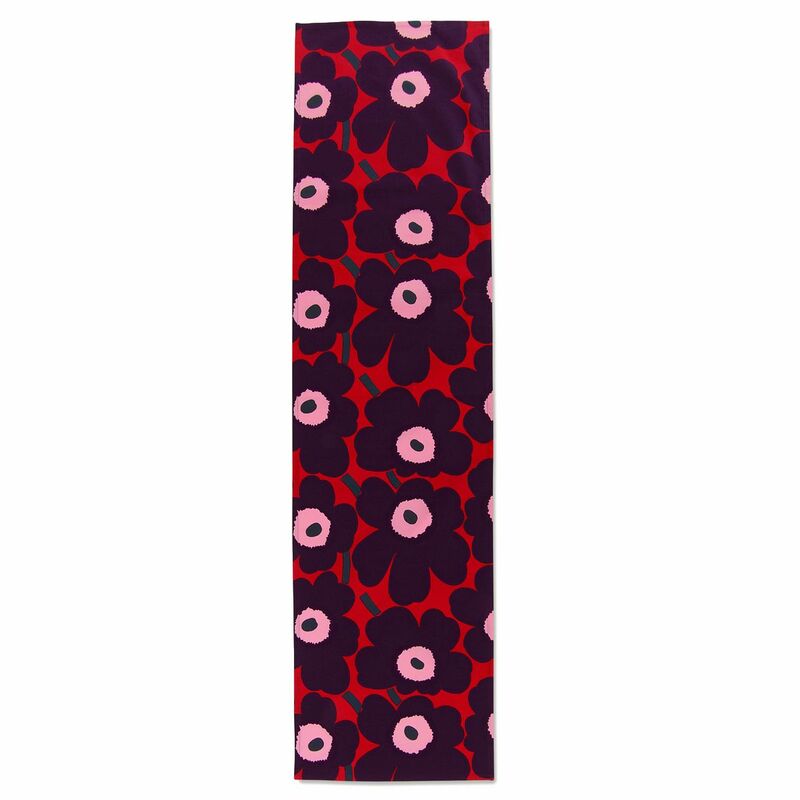 More about Marimekko Unikko Red / Plum / Pink Table Runner Your celebratory place settings will be beautiful when you set the stage with this Marimekko table runner. Maija Isola's iconic poppies are dressed for the festivities in a less traditional and more modern holiday colorway. 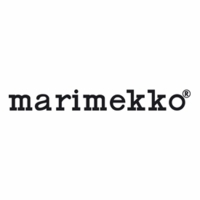 It is machine washable to keep it fresh throughout the year, where the shades of red, pink, and plum will still be a beautiful surge of color. 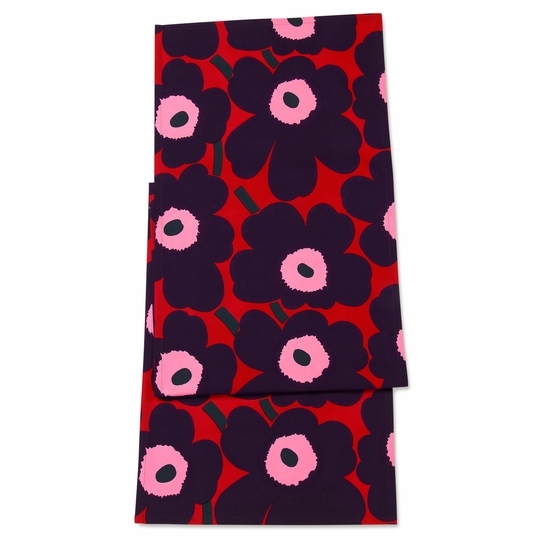 The usual good marimekko quality and the colors are stunning! Exactly as shown on the site. 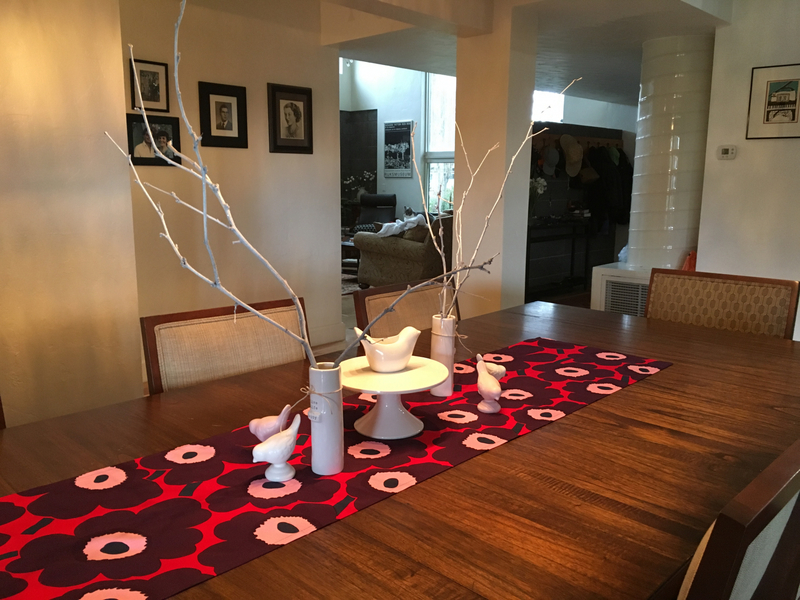 This rich, bright table runner adds a touch of Finland to our dining room table for the holiday season.